SATURDAY, OCT 27, 7:00 p.m.
​Admission is included with delegate registration fees. The MacEwan University Big Band, now in its 45th year, is the flagship ensemble of the Music Department. It provides students with curricular opportunity to gain experience in the contemporary big band music. For 33 seasons it has been under the directorship of Raymond Baril. The band has had the distinct opportunity of working with internationally renowned musicians such as Maria Schneider, Bob Mintzer, Wayne Bergeron, Eddie Daniels, Jack Wilkins, Jens Lindemann, Ernie Watts, Sunny Wilkinson, Phil Woods, Dizzy Gillespie, Bobby Shew, Christine Jensen, as well as Edmonton’s own PJ Perry and the late Tommy Banks. They have been a featured ensemble at the Edmonton International Jazz Festival, Cantando Music Festival, MusicFest Canada in Vancouver B.C., Alberta International Band Festival in Edmonton, International Association of Jazz Educators Conference in Washington D.C., and Rocky Mountain Festival in Banff. In addition to performing its own annual concert series, it has performed at numerous educational functions, a variety of civic and community events including a performance for the Duke and Duchess of York. In 1990, they recorded a one hour music special for the CBC-FM national network. The students have also traveled to many national music festivals, receiving both Gold and Most Outstanding Band awards in their class. In 2005, the MacEwan Big Band released its first CD, “First Time Out” which received praise from both local and national media. The MacEwan University Jazz Combo under the direction of Kent Sangster, is one of the music department’s premiere performance ensembles. This group is comprised of some of the most advanced jazz performers in the program. The group rehearses twice a week and performs music written and arranged by its members as well as faculty. In addition to their own concerts at MacEwan they have performed for many MacEwan University functions, in many Edmonton area schools, at the Edmonton International Jazz Festival, as a feature group at Music Conference Alberta and were featured as part of the “Musicians In The Making” program in conjunction with the Edmonton Symphony Orchestra. 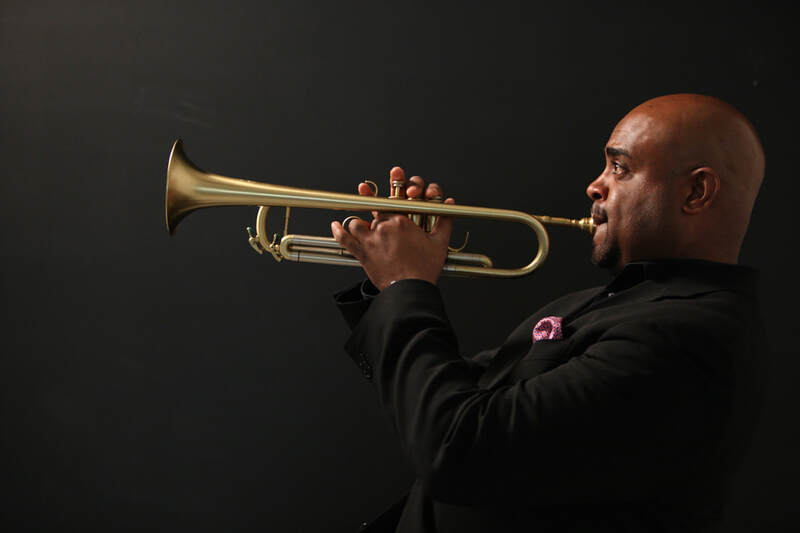 Terell Stafford, acclaimed trumpet player based in New York, has been hailed as “one of the great players of our time, a fabulous trumpet player” by piano legend McCoy Tyner. Stafford is recognized as an incredibly gifted and versatile player, he combines a deep love of melody with his own brand of spirited and adventurous lyricism. Stafford’s exceptionally expressive and well defined musical talent allows him to dance in and around the rich trumpet tradition of his predecessors while making his own inroads. Since the mid-1990’s, Stafford has performed with groups such as Benny Golson’s Sextet, McCoy Tyner’s Sextet, Kenny Barron Quintet, Frank Wess Quintet, Jimmy Heath Quintet and Big Band, Jon Faddis Jazz Orchestra, Carnegie Hall Jazz Band and Dizzy Gillespie All-Star Alumni Band. Stafford with the Hamilton-Clayton Jazz Orchestra, performed on Diana Krall’s GRAMMY nominated From this Moment On (2006). John Clayton invited Stafford to perform with the Clayton Brothers Quintet and Clayton-Hamilton Jazz Orchestra. Stafford is a member of the Vanguard Jazz Orchestra and they were awarded a GRAMMY in 2009 for Best Large Ensemble, Live at the Village Vanguard. Stafford can be heard on over 130 albums of which his latest recording has been hailed as “the first must have album of 2011” and “genius”, This Side of Strayhorn. Stafford is the Director of Jazz Studies and Chair of Instrumental Studies at Temple University, founder and band leader of the Terell Stafford Quintet, and Managing and Artistic Director of the Jazz Orchestra of Philadelphia (JOP). Stafford is renowned in the jazz world as an educator, performer and leader and has received countless award nominations and accolades. Terell Stafford was born in Miami and raised in Chicago, Illinois and Silver Spring, Maryland. He received a Bachelor of Science in Music Education from the University of Maryland in 1988 and a Masters of Music from Rutgers University in 1993. ​Raymond Baril is Assistant Professor of Music and Head for Winds and Performance Studies in the Department of Music at MacEwan University, and has been Director of the MacEwan University Jazz Ensemble for 32 seasons. He is in his 20th season as Artistic Director and Principal Conductor of the Edmonton Winds and 3rd season as director of the River City Big Band. Raymond remains a much sought after national clinician and adjudicator as well as a featured guest speaker at music education conferences across the country. Raymond works as one of Edmonton’s busiest saxophonists and continues to be in demand as a woodwind specialist for pit orchestras in local and touring productions. He was a regular member of the Tommy Banks Big Band for 25 years and has appeared with the Edmonton Symphony Orchestra on numerous occasions as a section member and soloist, as well as a guest conductor. Raymond has released the CD First Time Out with the MacEwan Big Band and has released two CDs with the Edmonton Winds, Among Friends and O Music, the latter featuring the wind band works of Edmonton composer Allan Gilliland and winning a Western Canadian Music award in 2012. Raymond holds a graduate degree in conducting from Northwestern University, undergraduate degrees in both performance and education from the University of Alberta, as well as doctoral studies in saxophone. This year Raymond was inducted in the Edmonton’s Cultural Hall of Fame. In 2016 he was recognized with a Distinguished Teaching Award from MacEwan University. In the past, he has been the recipient of many awards for his contribution to music and music education including the Tommy Banks Award, the David Peterkin Memorial Award, the Elkhorn Award for Director of the Year, a Best Teaching Practices Award, an Edmonton Public Schools District Service Award and an Excellence in Teaching Award from Alberta Learning.